Much of the pain and unease related to TMD is a result of excess muscle tension and nervous system stress and overactivity. 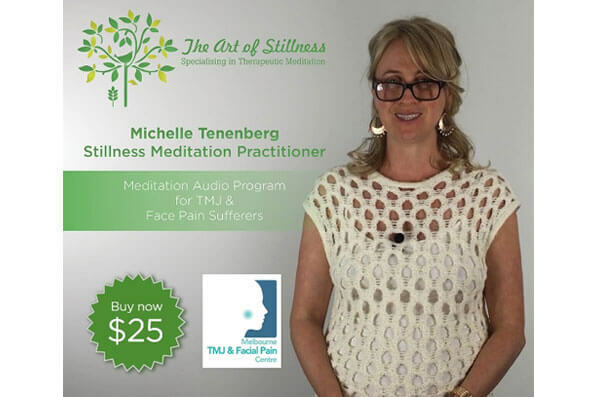 This unique 20 min guided meditation program, specifically designed by a Stillness Meditation expert Michelle Tennenberg, will assist you to learn how to fully relax your jaw, face, neck and entire body, enabling you to feel more at ease and free of pain. It is also a very effective way to relax you prior to sleep, promoting a more restful, healing sleep.